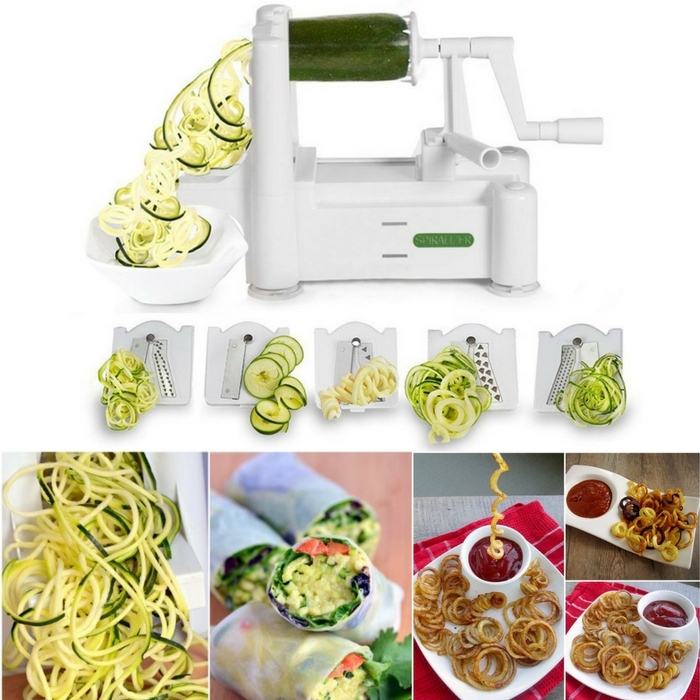 5-Blade Veggie Spiralizer Just $29.99! Down From $50! This is a great addition to your kitchen tool collection! Grab this 5-Blade Veggie Spiralizer for just $29.99 down from $50! Get it now before the sale ends! NEVER GET BORED ON A KETO/LOW CARB, PALEO, RAW, VEGAN, OR GLUTEN-FREE DIET AGAIN – • Start Making Healthy Gourmet Meals As Soon As You Get It – You’ll get an excellent recipe e-book filled with nutritious, mouth-watering meal ideas the whole family will love!